Do you want the job done right, or do you want it done fast? Ceramic Tiles are made from clay or a mixture of clay and other materials and then kiln-fired. They are an excellent choice for high traffic areas, because they are strong, durable, and easy to clean. When installed and maintained properly, ceramic tile will last for the life of your home. Although ceramic is harder to install than other flooring, it is an investment that pays off, increasing the value of your home. 1. Non-porcelain (often called “Ceramic”) tiles are made from red or white clay fired in a kiln. They are softer than porcelain. 2. 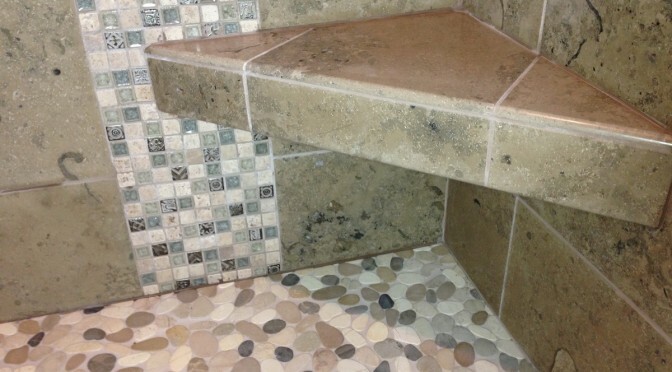 Porcelain tiles are made by the dust pressed method from porcelain clays. As a result, these tiles are dense, impervious, fine grained, harder, and more wear and damage resistant than non-porcelain ceramic tiles. Because of their lower water absorption rate, porcelain tiles are more frost resistant than non-porcelain tiles. Full-body porcelain tiles do not show wear because their color extends throughout the tile, making them suitable for commercial applications.